Being a parent isn’t easy. There’s nothing more important than keeping your children safe from harm, but in our rapidly changing world, the dangers in our homes aren’t always obvious. 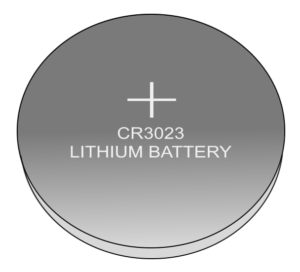 One small piece of technology which has made headlines for the wrong reasons is the lithium coin battery, or button battery, found in a vast number of common domestic items, including remote controls, watches, LED lights, key fobs, electronic toys and greeting cards. The problem with these batteries is that they’re only 1 to 2 centimetres in diameter, making them easily swallowed. Small children are naturally curious and can find these batteries in items that you might not give much thought to, like bathroom scales. If these batteries are swallowed, even when ‘dead’, they can cause serious and long-lasting injuries, or even death, within a matter of hours. What makes button batteries so dangerous? Button batteries can get stuck in the oesophagus, or food pipe, which links the mouth to the stomach. Once lodged there, the batteries react with mucus or saliva in the body, creating an electrical circuit which produces a caustic soda-like substance, a strong alkali which burns through body tissues. These batteries can burn through the lining of the oesophagus. This may be severe enough to create a hole in the oesophagus, and it can also damage the windpipe, vocal cords, or even major blood vessels including the aorta. All of these injuries can mean complicated, long-term treatment and repeated surgery is required. It takes just a matter of hours for button batteries to do serious damage, which starts within 15 minutes. The BBC reported the story of a three-year old who swallowed a watch battery in April 2015. Although she was sick and refused to eat, it took five days for an X-ray to reveal that she had swallowed a battery. By then, a hole had been burned through her food pipe and windpipe. She had to spend nine months in hospital, undergoing repeated operations. Over a year later she was still making frequent trips to the hospital and has a bag attached to a hole in her neck to prevent liquid and food getting into her lungs via the damaged windpipe. Other children have, sadly, died within hours of swallowing a button battery. There have also been cases of children putting button batteries into their noses or ears, causing other very unpleasant injuries. If you believe your child has swallowed or may have swallowed a button battery, take them to A&E as quickly as possible. Do not wait for them to exhibit symptoms. The battery will need to be removed as soon as possible to limit the damage. Do not let them eat or drink once you suspect they’ve swallowed a battery, as they will need to be placed under anaesthetic for treatment. You should not try to make them vomit. If your child gets a button battery stuck in their nose or ear, you should also take them to A&E. While the only thing to do if your child swallows a battery is take them to a hospital or call an ambulance as soon as possible, there’s lots of instances where first aid knowledge could really help your child, or even save their life. We strongly recommend parents enrol on a first aid course!